"The Birth of Israel, Myths and Realities"
"A work of extraordinary integrity and of great significance for all those who favor a human peace in the Middle East"
much that has long been believed"
"No one who reads this book can be content with these myths any longer"
"Nobody will be able to talk about these topics without taking Flapan's radical revision of the mythology into account"
In this ground-breaking and controversial history of the founding of Israel noted Israeli scholar and peace activist Simha Flapan gives us the first true account of one of the most momentous political events of the century. 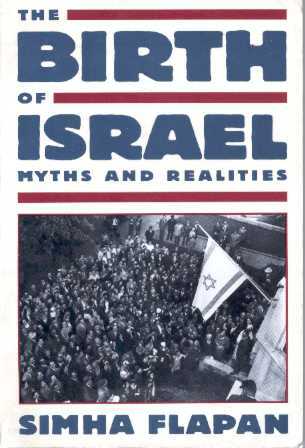 Israel despite the efforts of Jewish leaders to get them to stay ; that when after a miraculous victory in 1948 Israel extended its hand in peace not a single Arab leader responded -Flapan finds instead propaganda myths that have misguided Israeli policy to this day. Eye-opening and bold, full of unsettling revelations, The Blrth of Israel offers fresh hope for understanding today's tragic Arab-Israell stalemate, and for moving toward a solution. entirely groundless. Britain and the United States had vital though conflictiog economic interests in the Middle East, including oil reserves, and both were concerned with the strategic danger of Soviet penetration and of anti-Western popular movements in the region. by a single vote (twenty-one against twenty). The Arab proposal that all cauntries contribute to the alleviation of the plight of Jewish refugees from the Nazi Holocaust by absorbing them "in proportion to their area and economic resources and other relevant factors" was not carried because of a tie of sixteen for and sixteen against, with twenty-five abstentions." doubted, if only from the variety of means he employed to achieve this purpose: an economic war aimed at destroying Arab transport, commerce, and the supply of foods and raw materials to the urban population; psychological warfare, ranging from "friendly warnings" to outright intimidation and exploitation of panic caused by dissident underground terrorism; and finally, and most decisively, the destruction of whole villages and the eviction of their inhabitants by the army." points outside the borders of the state." prime supporters of partition only three months before, sought to retreat on the eve of its implementation. Why did the United States suddendly have second thoughts about a proposal adopted by the UN General Assembly with its own backing, and that of the USSR? Was it revulsion at the prospect of war?" themselves. Though backward and corrupt, the Arab regimes were still largely pro-Western. As Christopher Sykes has written: "There was great British fear, largely shared by Americans, that a victory of Zionism would mean a Soviet victory in the East." "This support for Israeli statehood was hardly the result of a radical change in the Soviets' attitude toward Zionism, which they continued to regard as a tool of British and American imperialism and a false solution to the Jewish problem. World War 2, however, had created a situation in which Soviet and Zionist interest converged." Jewish areas and to some extent in Jerusalem. The Yishuv, exhilarated by the Haganah's successes in the civil war against the Palestinians, awaited the transformation of the People's Administration into a provisional government. From this perspective, a truce was unthinkable; it would no doubt have meant allowing most Arab refugees to return to their homes and perhaps forcing the Haganah and the dissident underground organizations, Irgun and LEHI, to retreat from areas intended for the Arab state. Everything seemed to argue for the immediate declaration of statehood." "In fact, the superiority of the Jews over both the Palestinian Arabs and the invading Arab armies was never in dispute. As Winston Churchill told the British cabinet du ring World War 2, "In the event of a conflict, not only can the Jews defend themselves, but they will defeat the Palestinian Arabs." Both Arab and Jewish military experts, it appears, held similar opinions, as did numerous foreign observers. 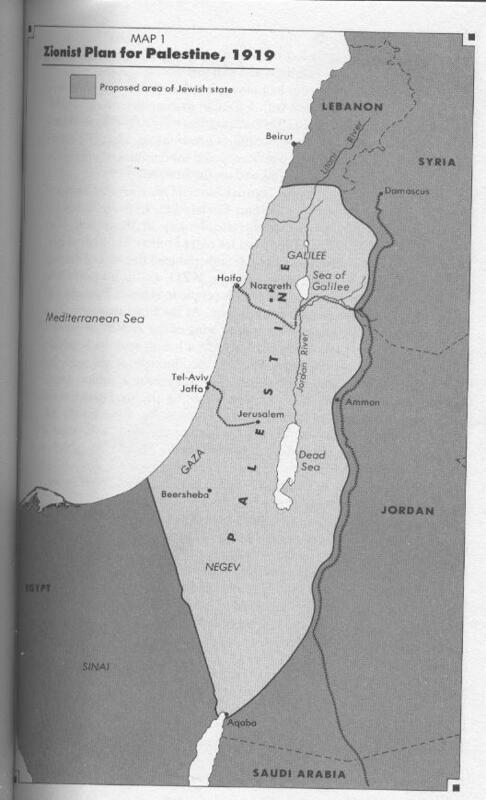 league's council in October 1947 that the Jews enjoyed a decisive military advantage over the local Palestinian Arab population, with the potential number of Jewish soldiers standing at fifty thousand to seventy thousand, not including possible reinforcements in manpower and equipment from overseas. He noted that 42 percent of the Jewish population was of military age, as against 28.5 percent of the Palestinians." command, (d) failure to acquire arms abroad. Informed circles inclined to agree that Arabs would now welcome almost any face-saving device if it would prevent open war. Might even accept de facto partition through acquiescence to march of Abdallah troops to ]ewish-Arab frontier. Also feared that Arab armies will probably be soundly defeated by Jews" (emphasis added)." (the Jazira project), 50,000 in Transjordan (the Yarmuk project), and 5,000 each in AIgeria and Lebanon. Refugees from the urban sector, it claimed, would have no difficulty integrating into the Arab world because of their high level of skills and education, and would, in fact, be a blessing for the underdeveloped Arab countries." 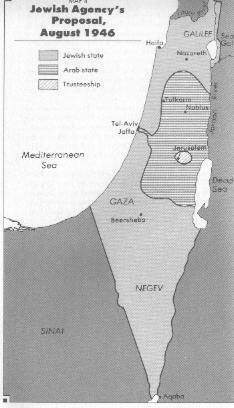 "The Arabs were more flexible regarding refugees from the areas designated for the Jewish state. While insisting that such refugees had the right to return, they agreed that those who did not wish to return should be awarded equitable financial compensation and be allowed to settle in the Arab countries. Those who wanted to return and were not allowed to do so by Israel should receive temtorial compensation. Thus Israel was offered a choice between repatriation of the refugees to their own homes and villages or territorial concessions from the area assigned to the Jewish state by partition, which meant, in effect, a smaller Jewish state. Israel, on the other hand, dec]ared itself ready to absorb 100,000 refugees in exchange for Arab recognition of the armistice lines as final borders. Moreover, Israel offered to absorb the 200,000 refugees in the Gaza Strip provided that territory was included within the Jewish state."